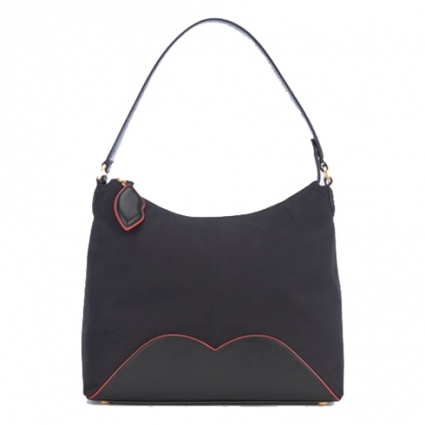 Lulu Guinness' Cupids Bow Lucilla Bag is crafted from softly structured black nylon and is secured with a top zip fastening. 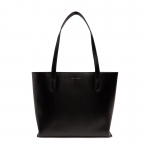 The Lucilla bag opens to reveal a spacious interior with a striped textile lining and slip and zip pockets within. Fitted with a single top handle, the reinforced leather-look base with Cupid's bow lip detail and four protective feet accentuates the design. The finishing touch is the brand's signature lip zip pull.